Faith, Trust and Pixie Dust: We Want to go to Disney. Where do we begin? Whatever you do, don’t just call up Disney and make a reservation to go during your kids’ school spring break. That alone will set you up for a less than ideal vacation. Do not go during spring break, Christmas break, or major school holidays. September or the fall is best. If you cannot take kids out of school then plan to go in the summer. You don't save much money staying off property. Stay at a Disney Resort! STAY AT A DISNEY RESORT!! First you need to decide when to go. I do discourage people, especially a Disney World newbie from going during Christmas break or spring break. These are the two most crowded times of year at Walt Disney World, and therefore also the most expensive. So you will pay more and see less. I think the best time of year to visit is the fall, particularly September. This does not include Thanksgiving week (see above re: spring break). For the last several years Disney has offered a free Disney Dining Plan promotion during September. This can save you a lot of money. Yes, I know the kids are in school, but that is why it is the least crowded, least expensive time of year to go. If it is not possible to go in September, then October, early November, or the first 2 weeks of December are also great times. If you are unable or not willing to take the kids out of school, I still feel the hot summer is better than those two major school holidays. If your school district gets out at the end of May, go the first few weeks of June. If your school gets out at the end of June, go the last two weeks in August. Yes, it will be hot. Once you have decided on WHEN to go, you need to decide for how long and where to stay. I will cover resort recommendations in other posts, but in more general terms of where to stay? STAY ON PROPERTY! For some reason, people seem to think they will save money by staying off site. Maybe you may save a little bit, but not much, or enough to make staying off property worth it in my opinion. Unless Great Aunt Edna is letting you use her two bedroom timeshare 5 minutes from the gate for free, you are almost always better on property. There are a number of benefits of staying on property. 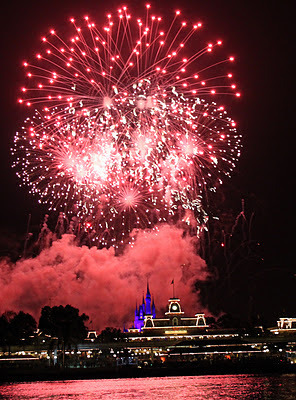 For a quick summary, check out my page on "Benefits of Staying at a Walt Disney Resort". Let’s look at why. A small, basic and clean off property hotel for a family of 4 may cost you $60 a night. A Disney Value Resort may run between $80-$100 a night. On the surface, people think staying on property is more expensive. If you are staying off-site and you visit the Disney Parks, you will need to pay for parking. That’s $14 per day. So make that $60 hotel room now $74. How are you going to get to the parks? You’re going to need a car. Yes, some off site hotels have “shuttles to the parks” that they make sound so wonderful and accommodating. These shuttles normally run only every hour. If you miss that bus, due to an emergency potty stop, meltdown, or booboo, you are guaranteed a one hour wait before the next bus comes. If you are going to the Magic Kingdom, those buses can’t even take you to the front of the park! That is for Disney buses only. They will drop you off at the Ticket and Transportation Center, and you will still have to either take the Ferry or Monorail to the park entrance. IF you get a great deal on a rental, and gas is not through the roof, it’s going to be at least $20 a day, probably more. Your inexpensive hotel is now $94/night. Just stay on property. If you are a Disney Resort guest, Disney will pick you up for free at the airport, and return you to the airport at the end of your stay via their Magical Express. In particular if you have small children, this can be wonderful. No car seats to lug onto the plane, and schlep through the airport! Disney Resort buses run approximately every 20 minutes or so. There is no schedule, they just keep coming. Is it possible you may have to wait 30 minutes for your bus, yes, but not very often. Usually the wait is 20 minutes or often less. And instead of having to buckle all the kids into their car seats and booster seats into a hot car, and drive everyone around like you do at home, you get to get into a nice air conditioned bus and “just sit back, relax, and enjoy your trip”. Just stay on property. The other reason you don’t just call up Disney and make a reservation (or ressie as they are known on the web), is that Disney will not let you know about any other their special promotions unless you specifically ask. In recent years with the economic downturn, Disney has offered some FANTASTIC deals. 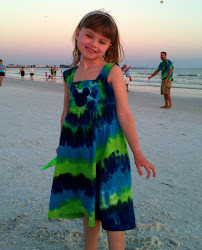 For example, free Disney Dining Plan, stay 4 nights get 3 free, and percent off room rates. Do your research before you call, and you may receive a much better deal. The websites to the left side of my blog page: MouseMisers, and MouseSavers, will have the most up to date information on current deals. At MouseMisers, you can sign up for email alerts when a new promotion is announced. I will try to keep current offers listed on the blog as well. If you are hesitant to book and want to wait for a better deal, don’t. Unlike an airline ticket which you usually can’t change, Disney reservations are easily changed. If you book a deal for say 20% off at a Value Resort, and then Free Dining becomes available, you can call Disney and rebook at the better rate. It’s a win-win situation, so JUST STAY ON PROPERTY. Are ya getting that part?